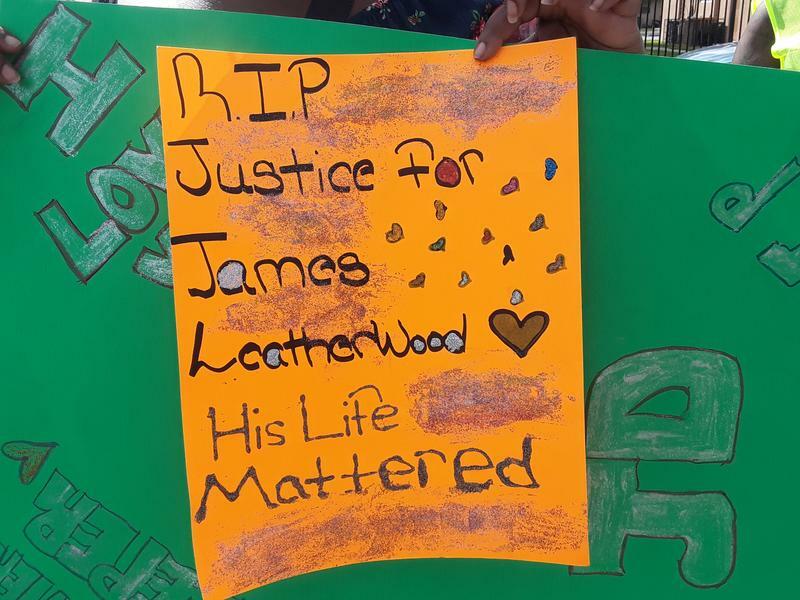 James Leatherwood was killed on Sept. 5, 2018 by a Hollywood SWAT officer. He was unarmed. “They said that they thought that my son had a weapon. It's why he was shot,” she said. After the shooting, Hollywood police did not find a weapon on Leatherwood. Leatherwood was staying at his sister’s apartment when the SWAT team broke down the door Sept. 5. 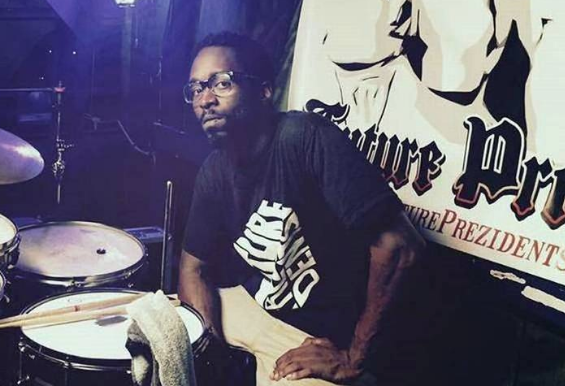 According to the search warrant, City of Miami police had witness statements and surveillance video connecting Leatherwood to a murder in Miami. 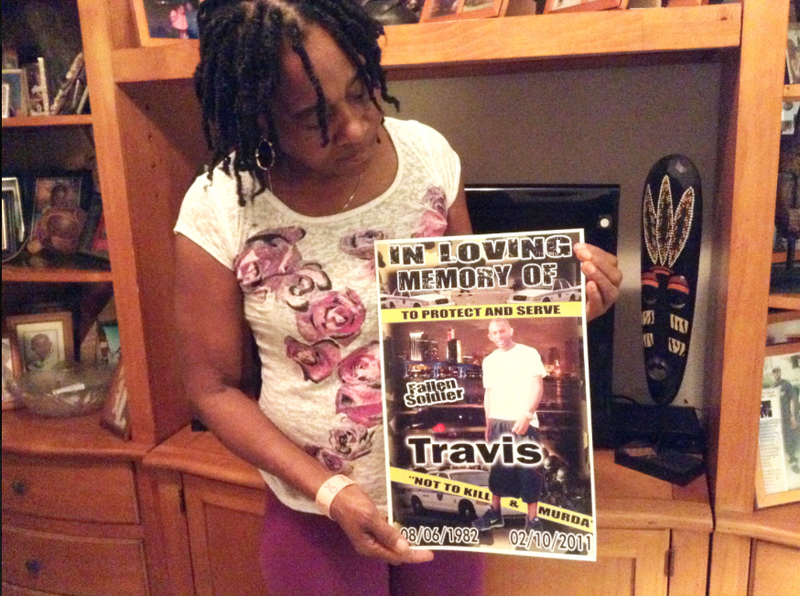 “Even if my son was the suspect in that case he still shouldn't be dead,” said Reid from her Opa-locka living room. She added, he should have been given his day in court. This week, 35 days after Leatherwood was shot, officers met with his family. The department sent WLRN a written statement after that meeting. Officers gave repeated commands for Leatherwood to exit the apartment and he did not. Then, Leatherwood tried to get out through a backdoor “and made eye contact with officers” while continuing to ignore their commands. “Mr. Leatherwood then made a sudden movement toward his waistband, placing the officers in fear for their safety,” which led one of the officers to shoot Leatherwood. No firearm was found on Leatherwood or anywhere in the apartment. Leading up to this week's meeting with the Hollywood police department, family and friends flooded the department with phone calls. “We’ve been calling the police every day, every day,” said Leatherwood’s sister LaCandis Reid; he was staying in her apartment. “The one thing that the detective did do was call to ask us to stop calling,” she said. Reid did not heed that request and exactly one month from when her brother was killed she organized a protest. About two dozen friends and family members gathered last Friday where the shooting happened and made their way to the Hollywood police station, about a 40-minute walk. At red lights, protesters passed out fliers about the shooting. “People don't like when you say black this or black lives matter, but it is a difference," said Nina Jai, one of the protesters and a childhood friend of Leatherwood’s. She said over and over again the news cycle is filled with moments like this one, a black man shot by the police and a grieving family waiting to find out why. “Here you are thinking that these people are here to protect and serve,” she said. As they were walking, another police-involved shooting was making national news. In Chicago, the white police officer who killed 17-year old Laquan McDonald was convicted of second-degree. Laquan was unarmed when he was shot 16 times. Within minutes of the Hollywood protesters showing up in front to the police station, Leatherwood’s sister LaCandis Reid noticed someone came to the glass door and locked it. Five days later, Hollywood police agreed to sit with representatives of the family. The officer who shot Leatherwood has been placed on paid administrative leave, which is customary in police involved shootings. The department did not release the officer’s name. The Hollywood homicide unit in conjunction with the Broward County State Attorney’s Office is investigating the shooting. A separate internal affairs investigation is also underway. Chantal Reid said now that she knows her son was not armed when he was killed—she wants justice. “Officers are not always right,” said Reid. “It’s nothing that they can do that’s going to fix this or change this. My son is dead." Leatherwood’s family has hired an attorney. North Miami Mayor Smith Joseph is speaking out about the shooting of an unarmed black man in his city on Monday. 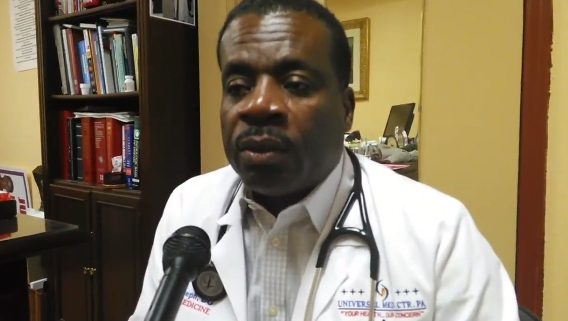 Charles Kinsey is a healthcare worker in North Miami. The City of Miami voted today to pay nearly $1 million to the estate of an unarmed man who was shot and killed by a Miami police officer. 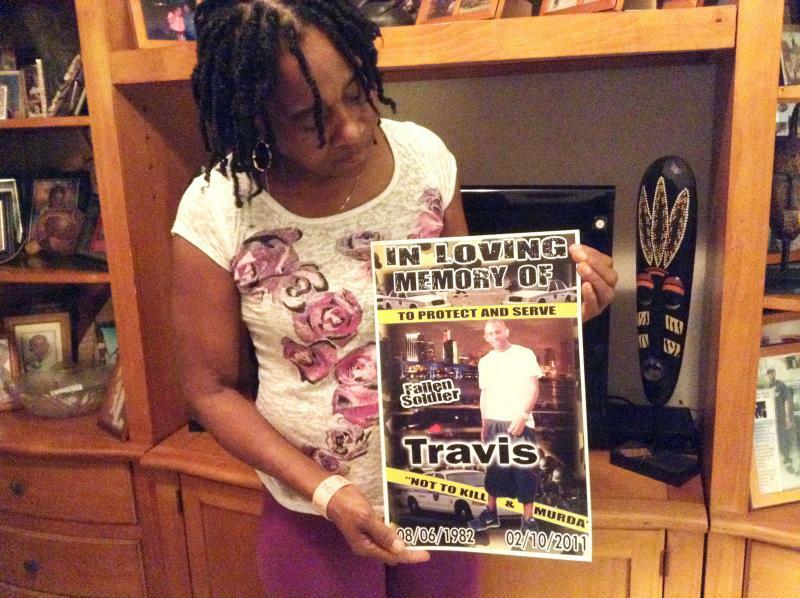 Miami Officer Reynaldo Goyos killed Travis McNeil, 28, during a traffic stop in Little Haiti four years ago. During an internal affairs interview about the shooting, Goyos said that during the traffic stop McNeil reached toward his waistband area. “At that time I said 'don’t do it,' gave him a loud verbal command: 'Don’t do it.' And at that time I saw a black object coming up,” he said in the interview.